At Woodstock Primary Academy, one of our main expectations is to be ready to learn. To help us do this, each day we will be hosting our morning 'Wake up and Shake up' workouts. For ten minutes each day, the sessions will allow all pupils and parents to get physical and energised for the day ahead. 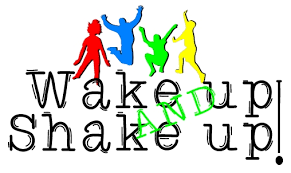 Wake Up and Shake Up will start at 8:35am and will take place in both the KS1 and KS2 halls. We can't wait to see you there.